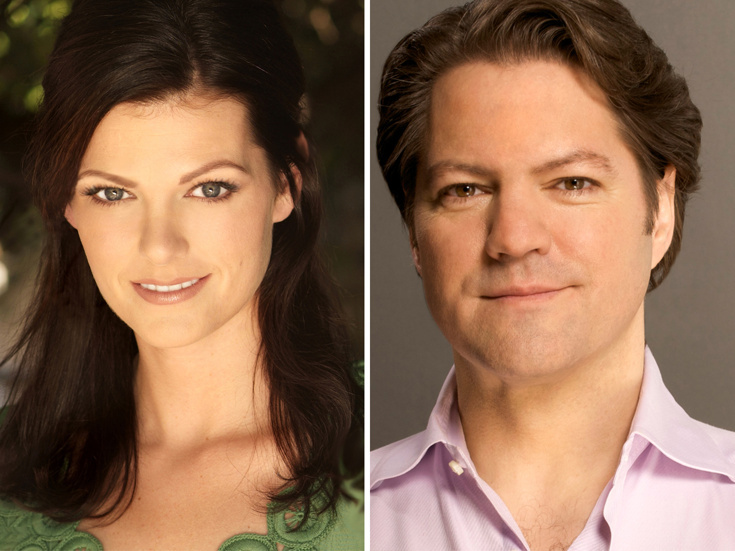 Broadway alums Kate Shindle, Robert Petkoff and Susan Moniz will lead Fun Home on the road. The three take on the roles of Alison, Bruce and Helen Bechdel, respectively. The national tour of the Tony-winning musical will launch on October 2 at Playhouse Square in Cleveland, Ohio. Director Sam Gold will re-stage Jeanine Tesori and Lisa Kron's musical for proscenium houses. The Broadway production, which currently plays the Circle in the Square Theatre, is presented in the round. Based on Alison Bechdel’s graphic memoir, Fun Home charts the artists’ quest to come to terms with her father's unexpected death and her own sexuality. As she moves between her unique childhood at the family’s funeral home, her freshman year of college and the present, Alison dives into the story of her unstable father, who was grappling with his own identity. Shindle has appeared on Broadway in Legally Blonde, Cabaret, Jekyll & Hyde and Wonderland. She is also the president of Actor’s Equity Association. Petkoff’s Broadway credits include All The Way, Anything Goes, Ragtime, Spamalot and Fiddler on the Roof. Moniz, a Chicago-based actress, appeared in the 1994 revival of Grease. The cast will also include Abby Corrigan as Medium Alison, current Broadway Fun Home understudy Alessandra Baldacchino as Small Alison, Karen Eilbacher as Joan, Robert Hager as Roy, Lennon Nate Hammond as John and Pierson Salvador as Christian. Rounding out the company are Anthony Fortino, Sofia Trimarchi and Michael Winther. Carly Gold will play Small Alison at select performances. Fun Home premiered off-Broadway at the Public Theater in 2013. The show transferred to Broadway’s Circle in the Square Theatre in 2015, and went on to win five Tony Awards including Best Musical. Tesori and Kron made history as the first female writing team to win Best Score.